You need an enterprise resource planning (ERP) system that is robust to meet your financial and operational needs yet flexible to grow with your business. Build one that grows with your business, and see the benefits of increased productivity through process automation, lower costs and enhanced flexibility. Reinventing your business with a cloud-based ERP system can reduce TCO and accounts payable significantly, deliver a mobile-enabled workforce and enhanced analytics, and help shave weeks off regulatory and SEC reporting timelines. Help speed your migration to cloud and avoid common obstacles when you create a transition plan in partnership with IBM experts for your on-premises Oracle ERP and HCM systems. From consultation through implementation of ERP on Oracle Cloud, IBM is your partner in Digital Reinvention™. Our proprietary Oracle Cloud Impact Assessment helps you articulate your personalized roadmap and business case for transition to Oracle Cloud. Once Oracle ERP Cloud is up and running, you’ll enjoy the benefits of modernized financial and operational processes, like a workforce freed to focus on improved customer service and proactive planning. Take the proprietary Cloud Impact Assessment for Oracle to help articulate your business case. Access our suite of AI, analytics and robotic solutions to introduce automation and machine learning into finance processes. Help increase performance, like the 7-day reduction in month-end close cycle that IBM helped achieve for a Regional Bank in the US. ConnectOne Bank strives to become "a better place to be" for small and mid-size business owners. 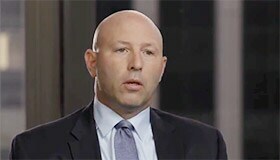 The bank worked with IBM to automate and digitize financial processes using a cloud-based Oracle solution. 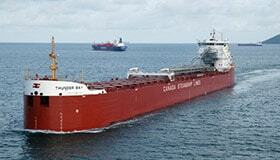 Canada Steamship Lines delivers more than 78M tons of dry-bulk cargo a year. In less than 20 weeks, IBM delivered a modernized financial accounting and reporting solution that is enabling better decision-making. A high performance human capital management (HCM) process can add speed and flexibility to your organization's HR. Supply chain management (SCM) solutions help you meet customer demand while helping lower inventory costs.